The middle east is nothing but a basket case of burning oil, desert, dead babies, and angry people. exception maybe the Emirates. These radicals have bad gas, BO, and heartburn and want to take the world down with them. The world shouldn't put up with this behavior one bit. Sometimes a swift kick in the hind end is whats required. The punishment for being a terrorist of any kind out to be as grotesque as their behavior. I think Kenyan President Kenyatta put it best. Shabaab is a group of cowards plain and simple. 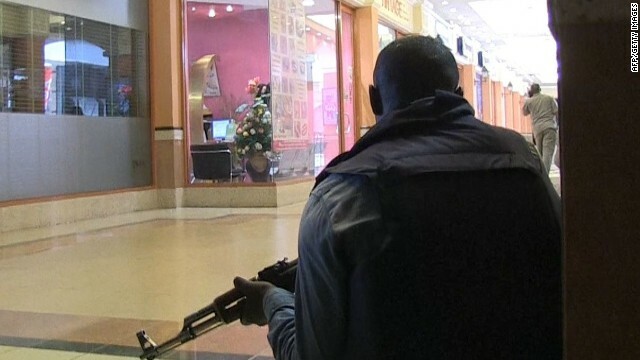 The Cowards intentionally attack malls and civillians because they can only fight unarmed women and children. The Cowards are too incompetant to govern Somalia, and so they must go and attack innocent civillians in other countries. Shabaab is so cowardly that instead of putting their guns away and rebuilding Somalia, they go out and kill people and destroy their own homes like a pack of rabid wolves. If Shabaab were not cowardly they would be able to fight on their home turf. If Shabaab were not cowardly and incompetant they would be able to make civilization in Somalia peacefully instead of destroy their own homes violently. Shabaab is the poster child for why East Africa cannot progress, Shabaab is an icon and the embodiment of all of Africa's failures. I believe Africans want better and deserve better, but Shabaab tarnishes this image and does their utmost to keep Africa at the bottom through endless war, poverty, and terror. animals must be crushed, kenya, somalia, pakistan, afghanistan – or Syria, Iran. If the Kenyans minded their own business and stayed out of Somalia Phunnie boy, this attack would not have happened. Besides, who are you to call these people animals? The only true "animals" in this case reside in Washington, London and Paris!!! Animals would be the least offensive word I would use. I'm surprised they let the Muslims leave first. Killing other Muslims has never stopped these "animals" before. Nooooo njmass, you don't understand selfish mindset of these animals; the reason they let them go because they did not want to stand in a line behind these people to claim 72 virgins; obviously, if they had killed them, they would have been ahead of them with claims !! They left them alive all for the selfish reasons. FIRST YOU SAY IT THEN THEY DO IT (MORE OR LESS) WHEN THEY GET AROUND TO IT OF COURSE IN THEIR OWN "TIME". Remember: we are now on the backside of the 911 season 2013. which has been very active...question is does this coraspond with any other event that is about to happen like in the U.N. today or is it just part of dent- heads order for AQ too 'just do something.' which was said around the begining of the Muslium month of (rom-a-dom) 2013. Al-Shabaab are the same like any radical Muslim group, they just don't like any non-Muslim, and they consider it to Jihad to kill any non-Muslim, strange enough we find the Obama administration supports those radical Muslim brotherhood in Egypt, and the rebels in Syria, both short, and long term, it will back fire on us. Funny, when the Egyptian Military threw out the MB from power the Obama Admin. didn't pull support or call it a coup. Seems to me your statement is inaccurate!